You’ve never seen anything like it! The Vita Perfetta Cellphone Mural is freestyle party art and CRAZY entertainment. Everyone gets a piece of the fun. Our brilliant artist creates a custom airbrush mural against our unique cellphone wall canvas. Party guests watch as, layer by layer, the image comes to life. Choose a funky design like galaxy, graffiti, mandala and more. No mural is exactly alike as we design to the DJ’s beats. When the artwork is done, party guests choose their individual cellphone case from the epic masterpiece. 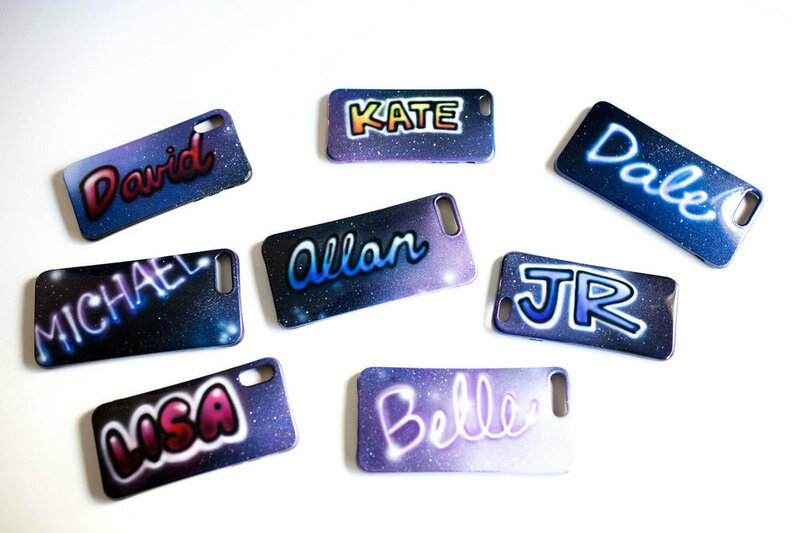 Choose 1 artist for mural art or 2 and we’ll customize each case with name art. It’s funky, freestyle art flavor with the Vita Perfetta Cellphone Mural!